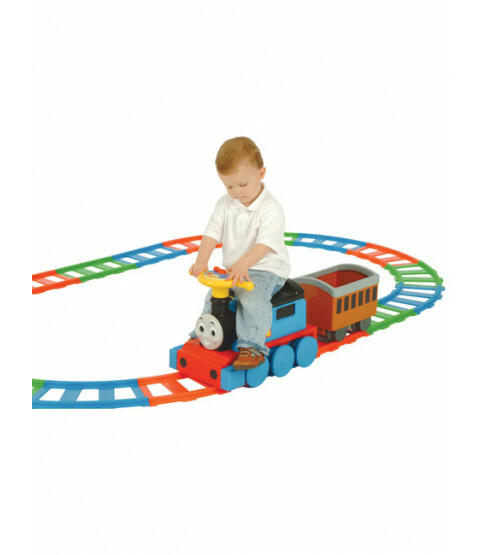 All aboard this battery operated Thomas & Friends ride on train track set! Create your own track with the 22 piece set and watch your child enjoy hours of fun riding on their very own Thomas. 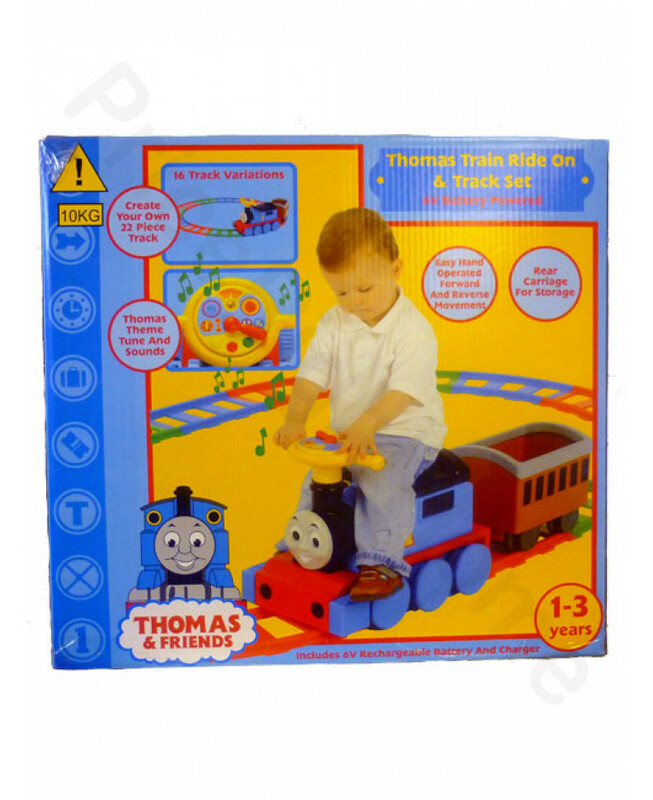 Thomas comes with a removable carriage and can move both forwards and backwards. This set comes complete with rechargeable battery and charger to ensure the fun can carry on and on.